Is he reminding you of anyone we know? Like certain people I could name?" —They Might Be Giants, "Certain People"
Short for "Exported Character", an Expy is a character from one series who is unambiguously and deliberately based on a character in another, older series. A few minor traits—such as age and name—may change, but there's no doubt that they are almost one and the same. Often seen in different works by the same writer(s) or production team. This can simply be the tendency of writers to prefer certain characterizations for important characters (or knowing which ones are most marketable/popular), or the influence of the design process. On the other hand, it may just be a bad attempt to try to revive a character who the writer liked, but nobody else did and had to get rid of it. When by a different author, it may be a Homage to the original creator and/or character. In the negative sense, an expy can be seen as just a bloated, gimmicky version of a perfectly serviceable past character. In a positive sense, it can refer to an "upgrade" of a two-dimensional or otherwise limited character to one more appreciably complex. Theory: any Characters As Device trope, if taken to the extreme, can result in the character appearing to be a mere expy of the Ur Examples for that trope. Especially if the character is Flanderized to the point of having few defining characteristics outside of the trope they represent. See Fountain of Expies. Most often seen in animation and video games, where it's much easier to make a newer character resemble an older one. 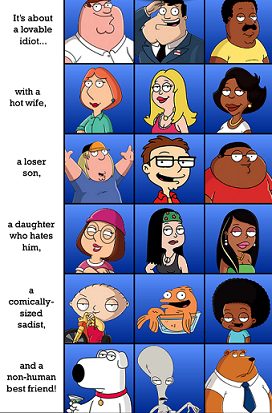 Occasionally happens when characters from different stories end up sharing voice actors, making or even forcing their personalities to look even more similar, which often leads to jokes based on the voice actor's former role. When the character appears in the same show as the previous character, he's often a Suspiciously Similar Substitute. The key difference between this and Captain Ersatz is that an Expy is not clearly supposed to be the character, but is rather very similar, while Captain Ersatz is obviously the same character but with the Serial Numbers Filed Off. Please keep this distinction in mind before adding an example here. Also note that a fictional counterpart to a real-life person would not be an Expy. When a character strongly resembles a real person, rather than a fictional character, that's No Celebrities Were Harmed. A quick glance around All The Tropes will reveal just how often these mistakes are made on this very wiki. Compare to Bleached Underpants, Alternate Company Equivalent, Name's the Same, Roman à Clef, Counterpart Comparison, Similar Squad, Same Story, Different Names, Suspiciously Similar Song, Distaff Counterpart, Evil Counterpart. Not to be confused with XP. For specific expies, see Fountain of Expies.